Evil In The Hearts of Men - This is Lunacy!! 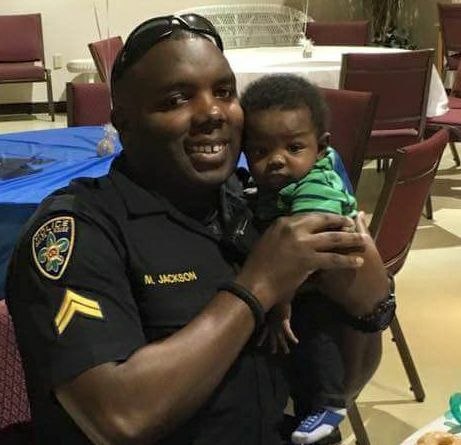 The more I looked at this photo of Officer Montrell Jackson, one of the officers killed in Baton Rouge, Louisiana, the more it dawned on me how all of these lives being lost are impacting our family structures. In every one of these senseless killings whether it was initiated by one in uniform, a civilian or a terrorist, a void was created that was not there. Each individual lost was some one's father, mother, brother, sister, son, daughter, uncle, aunt, cousin or friend. They were people who were loved by other people who are now left behind with only their memories. It doesn't matter if it was a terrorist attack such as Orlando or Paris or an individual shooting as in Minnesota or Baton Rouge, family members were taken away; innocent people who had absolutely nothing to do with the events that precipitated the attacks in which they were killed. Late Officer Montrell Jackson symbolizes what I am seeking to convey in this post in terms of the losses we are suffering as families as a result of all of this killing. He was the father of an infant who will now no longer have his dad. For every loss, some family will no longer have whatever role the deceased played in their lives. Sitting here looking at this picture, I can't imagine how Officer Jackson's or any of the other families who have lost loved ones to this madness must feel. Senseless deaths; senseless losses; senseless voids. Something to critically think about. You are invited to join me each Saturday morning at 6 a.m. as the host of The Reading Circle with Marc Medley. The show web streams around the world on gobrave.org and is heard locally in northern NJ on FM radio WP88.7 FM. You are also invited to follow me on Twitter @thinkcritical01 and @readingcircle01. With all of the chaos going on around the world, I decided to write on a lighter topic for this post. What prompted me to write this post was my experience of flying my remote controlled (RC) airplane and drone yesterday in the park. As I guided my little Horizon Hobby Sport Cub S followed by my Discovery Quadcopter, my mind went back to 1972 when I was ten years old. I reflected as I guided the Cessna replica on being a child spending my summers in South Boston, Virginia (Halifax County) at my father's sister's house atop a hill at the end of a gravel and dirt road. My father's sister Irene had a son who was a couple of years older than me who made a great playmate given the rest of my father's siblings had daughters. Not that I minded playing with my female cousins, it was just more fun doing "boy things" with another boy. I just mentioned that my aunt's house sat atop a hill; on the other side of that hill at the bottom was a large field where RC plane hobbyists would come and fly their planes. I would see them pass the house on their way to "The Bottom" and moments later hear the hum of the at that time gas powered RC planes. They had a distinct sound and I always wished that I had one. I've loved aviation since I was a child to the point where when another cousin who lived in that area who was a furniture architect/designer who created the blueprints for a furniture company asked me what I would like for him to draw for me, I asked him to draw me an airplane. He did just that and that picture hung in my childhood room for years. As I listened the hum of those little engines on the RC planes, I said to myself that one day I was going to own and fly one of those planes. Herein lies the title for this post. I made those statements in 1972 and did not purchase my RC plane until 2016. In between that time, life happened and I never gave much thought until recently to just going out and buying one [RC plane]. This after having served nine years in the Air National Guard as a jet engine mechanic, having flown all around the world for vacations, business, and fraternity conventions, taking a flight school promotional flight as the pilot of a Cessna out of Teterboro Airport and flying countless hours on Microsoft Flight Simulator X (FSX). My love of planes and aviation has never wavered. I am a true believer in the power of words, the law of attraction and my religious faith. They all are connected and one does not negate the other. While I consciously had forgotten about my wishing and stating that I wanted to own and fly an RC plane, my subconscious and God/Universe had not. Even though forty- four years had gone by, this dream/intention came to pass. My owning and flying of my own RC plane was realized. All of this popped into my mind as I flew the pattern and figure eights in the park yesterday. So by now if you have not gotten the point, you are probably asking, "What's the point of this post?" I'm glad you asked. The point of the post is, it is never too late for any of our dreams or intentions to be realized no matter how small or insignificant you may think they are. 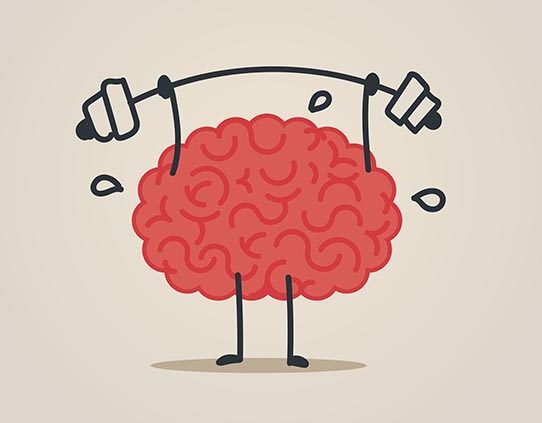 Words and thoughts are powerful and do not go away just because we no longer bring them to mind consciously. They also do not go away no matter how much time passes by as in my case of forty-four years. It is for this reason that we must be so careful of our words and thoughts. This works both positively and negatively. Negative words and thoughts could come back to haunt us years later. Something negative that we said years ago could come to pass in our present or future. So let's always be speaking positive words and having positive thoughts because we never know when something that we thought about will manifest. I am truly enjoying my RC toys and I am happy for the childhood memories that owning and operating them brought back. Something to critically think about. You are invited to hear me live as the host of The Reading Circle with Marc Medley each Saturday at 6:00 a.m. ET as I web stream around the world on gobrave.org and broadcast on FM radio in northern NJ on WP88.7 FM. You are also invited to follow me on Twitter @thinkcritical01 and @readingcircle01. Since the events that transpired over the course of this last week, I have been trying to come up with a Critical Thinker blog post to address them. The incidences I speak of are the killings that occurred in Minnesota, Louisiana and Dallas. I could not get my thoughts together to put my words on paper, however, I was able to express my thoughts via my podcast The Marc Medley Show on Spreaker. Please take a listen and I truly hope it causes us all to critically think and then act. Enough is enough with all of this killing. As always, something to critically think about. You are invited to join me each Saturday at 6 a.m. ET as I host The Reading Circle with Marc Medley book talk radio show. The show is heard around the world on gobrave.org and locally in northern NJ on FM radio WP88.7 FM. You are also invited to join me on Twitter @thinkcritical01 and @readingcircle01.